If your attitude towards the MAT is: “I hate Miller Analogies. Help!” I’m here to do just that! The test isn’t as bad as you think, I promise. Below you’ll find some MAT mental hacks and tested tips. Remember, you can do it, you can do it! It has only 120 questions. All questions are in the same format, making studying a more streamlined and a less overwhelming endeavor. It is designed to test knowledge you have learned over years of schooling, so you probably already know more than you think! Its multiple choice, so nothing is open ended and you have a chance on each question! You can take it online or on paper. You can take it at all different testing centers and times, so you can choose the best time of day and place for you (especially helpful if you are not a morning person!). So banish those negative thoughts! The easiest way to do that? Proper Preparation. Right here at Magoosh we have tons of material to help you prepare for the MAT. There are also plenty of resources online and in print. The better you prepare the more confidence you will have on test day and the better you will do. 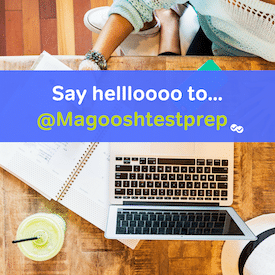 Review vocabulary lists and take practice tests, as those are two surefire ways to tackle the MAT! Very few programs exclusively require the Miller Analogies Test. Remember that in most cases, you have options for choosing the standardized test that is right for you. For instance, if you are more inclined to math and science subjects, you may prefer the GRE, which has entire sections dedicated to solving mathematics problems. If you find that the MAT isn’t right for you, you can always choose another test!